Alexander Rubtsov, the head of the Sukhoi Civil Aircraft Company (SCAC), has admitted that the manufacturer of the Superjet 100, Russia’s regional aircraft, may lose Irish carrier CityJet, its only established customer in Europe, as early as the first quarter of next year. “We are in discussions with CityJet, but I have not ruled out [the possibility] that we may be ending the story of our relationship with the carrier,” the president of SCAC revealed during his recent briefing attended by Russian Aviation Insider. He added that the final decision is likely to be taken in the first quarter 2019. A change in the Irish carrier’s core business model is the probable reason for CityJet’s SSJ100 disposals, Rubtsov pointed out. “We’ve got our original arrangements, but life has changed,” he added. CityJet has previously been a scheduled airline, with a substantial presence at London’s City airport, but it has since adopted a new business model focusing instead on ACMI operations, flying for other companies. However the airline’s concerns over the levels of after-sales support of the Russian regional jet may also be a significant factor in its decision. 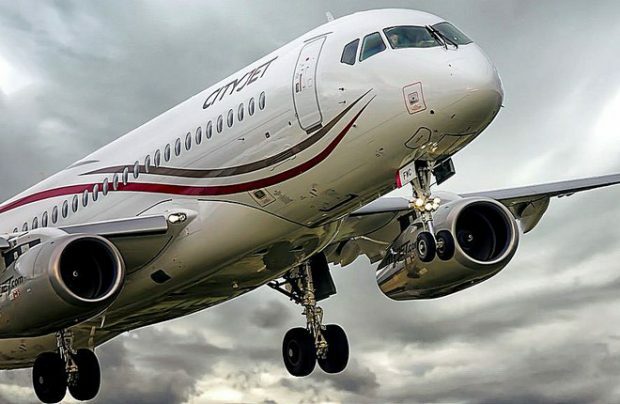 That is why Belgium-based Brussels Airlines, which in 2017 agreed to wet-lease four SSJ100s from CityJet, has announced that it will terminate the contract in March 2019, attributing the decision to “challenging maintenance issues” and the airplane’s “childhood diseases”. CityJet initially placed a firm order for a total of 15 of the aircraft, with an option for a further 16. But it finally took delivery of only seven units. Despite these setbacks, Sukhoi Civil may still retain a customer base in Europe with the news that Slovenia’s Adria Airways, which signed a letter of intent for 15 Superjet 100s and with deliveries slated to commence in early 2019, has received a badly needed first tranche cash injection of €4million from its German-based owner 4K Invest. To address the painful after-sales customer service issue, Sukhoi Civil has proposed to Adria the establishment of a joint SSJ100 maintenance, repair and overhaul (MRO) venture for the type in the central European republic.